«Alexander Malofeev manifests the piano mastery of the new millennium in itself.» (Il Giornale). «The latest phenomenon of the Russian piano school…» (Corriere della Sera). Such a warm response in the Italian media the debut concert of Alexander Malofeev at La Scala rose. «Russian genius» (Corriere della Sera) performed with maestro Valery Gergiev the first Tchaikovsky piano concerto. «In contrast to what could be expected of a youngster aged 15, he demonstrated not only high technical accuracy but also an incredible maturity. Crystal clear sounds, perfectly balanced revealed the exceptional skill in playing…» (Amadeus) – On March 6, 2017 Alexander Malofeev opened the 30th anniversary concert of the famous Meesterpianisten serie in the Concertgebouw, Amsterdam . 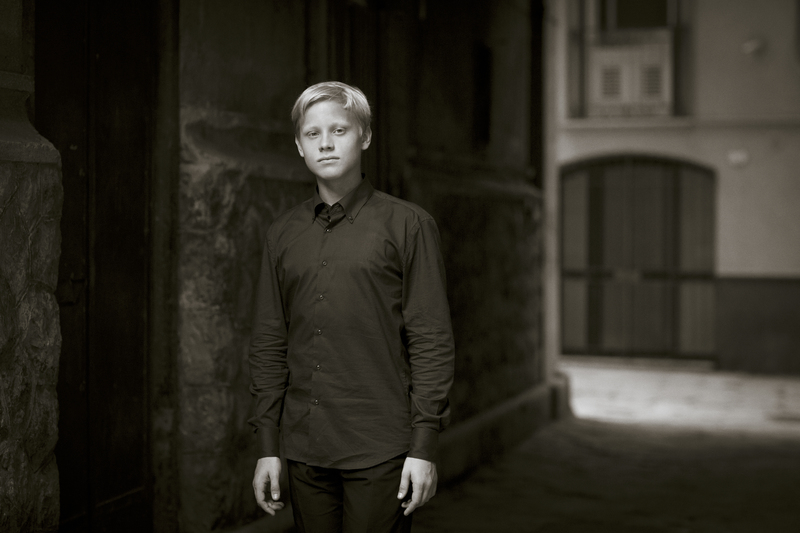 Alexander Malofeev is a young Russian pianist, mostly famous with his outstanding appearance at the 8th International Tchaikovsky Competition for young musicians (2014), where he won the I Prize and attained the overall recognition. In 2016 Alexander Malofeev won the Grand Prix of the International Competition for Young Pianists «Grand Piano Competition». /Alexander was born in Moscow in October 2001. Now the young pianist studies at the Gnessin Moscow Special School of Music with Elena Berezkina, Honoured Cultural Worker of Russia. 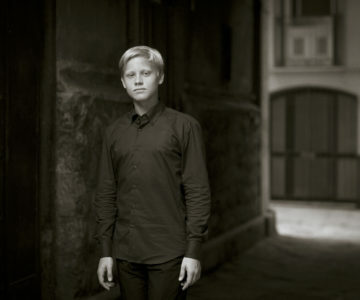 In his 17, Alexander Malofeev already performed in Moscow`s Bolshoi Theatre, Moscow Tchaikovsky Conservatory, Galina Vishnevskaya Opera Centre, Moscow International Performing Arts Center, the Mariinsky Theatre, the State Kremlin Palace, Concertgebouw (Amsterdam), Teatro alla Scala (Milan), Kurhaus Wiesbaden (Germany), Munich Herkulessaal (Germany), Philharmonie de Paris, Theater of the Champs-Elysees (France), Kurhaus Wiesbaden (Germany), Queensland Performing Arts Centre (Australia), Tokyo Bunka Kaikan, Shanghai Oriental Art Center, National Centre for the Performing Arts (China), Kaufman Music Center, UNESCO House. He gave recitals in Russia , Azerbaijan, Armenia, Finland, Sweden, France, Switzerland, Germany, Austria, Spain, Italy, Portugal, Israel, China, Japan, Australia and the United States. Alexander has appeared with numerous orchestras including the Mariinsky Theatre Orchestra, Orchestra Filarmonica della Scala, Russian National Orchestra, State Chamber Orchestra “Moscow Virtuosi”, RAI National Symphony Orchestra, State Symphony Orchestra Novaya Rossiya, Tchaikovsky Symphony Orchestra, Tatarstan National Symphony Orchestra, Baltic Sea Philharmonic orchestra, National Philharmonic Orchestra of Russia, National Philharmonic orchestra of Armenia and the Verbier Festival Chamber Orchestra, under the batons of conductors such as Valery Gergiev, Vladimir Spivakov, Alexander Sladkovsky, Vladimir Fedoseyev, Myung-Whun Chung, Alondra de la Parra, Kristjan Jarvi, Dmitry Liss, Eduard Topchjan, Kazuki Yamada, Gábor Takács-Nagy, Dimitris Botinis and Alexander Soloviev, to name but a few. In 2016 Alexander Malofeev released his debut DVD film, recorded by Master Performers label in the Queensland Conservatorium Theatre, Brisbane (Australia). Alexander Malofeev is a laureate of many Russian and International Competitions. There is a list of some of them. The young pianist was awarded Gran Prix and the Special Prize in the Ninth International Rachmaninoff Competition for Young Pianists (Veliky Novgorod, Russia, 2014), Gran Prix in the Moscow International Competition “Music diamond” (2011, 2014) , First Prize in the I «Astana Piano Passion» International Competition for Young Pianists (Astana, Kazakhstan, 2013), Gran Prix in the “Musical Art” International Competition for Young Performers and Composers (Moscow, Russia, 2013), Gold medal of the Youth Delphic Games of Russia (2015, 2012), Gran Prix of the Artobalevskaya Festival (2012), Gran Prix in the «Mozart wunderkind» International Competition (Austria, 2011). Also Alexander was a participant of the International de Piano de La Roque d’Anthéron Festival (France), participant La Folle Journée de Nantes (France), participant of the «Rheingau Music Festival» (Germany), participant of the «Merano Music Festival» (Italy), participant of the Annesi classic Festival (France), participant of the Chopin Festival (France), participant of Denis Matsuev’s «Crescendo» Festival, participant of Valery Gergiev’s «Mikkeli Music Festival» (Finland) , participant of the Mariinsky International Piano Festival (St. Petersburg), participant of the «Denis Matsuev and friends», participant of the «Master Pianist Series» (Concertgebouw, Amsterdam), participant of the «Stars of the White Nights» International Music Festival (St. Petersburg), participant of the «Stars on Baikal» International Music Festival, participant of Vladimir Spivakov’s International «Moscow Meets Friends» Festival, participant International Winter Festival “Arts Square” directed by Yuri Temirkanov (St. Petersburg), Festival of Larisa Gergieva (Vladikavkaz), participant of the «Eilat Chamber Music Festival» (Israel), participant of the «International Piano Festival of Brescia and Bergamo» (Italy), participant of the «Peregrinos Musicais» Festival (Spain), and other. Alexander Malofeev is a sholarship holder of “New Names” Charity Foundation and Vladimir Spivakov Charity Foundation.